I just returned from the most fabulous Christmas Markets Danube cruise on AMAWaterways. The trip was perfect. In some places we suggest a land trip as the major sites are not on the river. 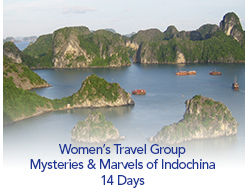 Here are our choices for Holiday Gifts for Women who Adore Traveling. A lesson in using your phone as a camera. A smart phone has many applications which are free or close to free. But for electronic idiots like me, they can be hard to understand. Many camera stores, libraries and Apple stores give lessons. I learned how to take quick unnoticed photos without clicking the aperture! Women travelers are less likely to be electronically savvy.